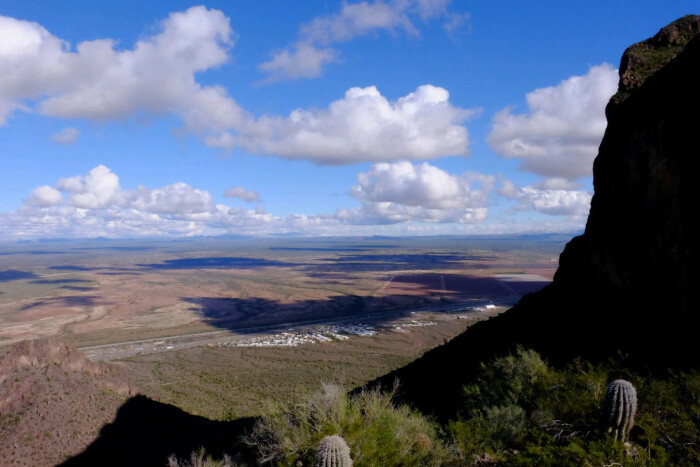 Ask fellow campers about "Picacho Peak State Park" and nearby attractions. Spaces sites and one of the best clean restrooms I have been to. We had just power and not water hook up, etc. But the restrooms were great. Camp host and staff were great people. Book early, the campground fills up. If we are in the area, we will stay again. 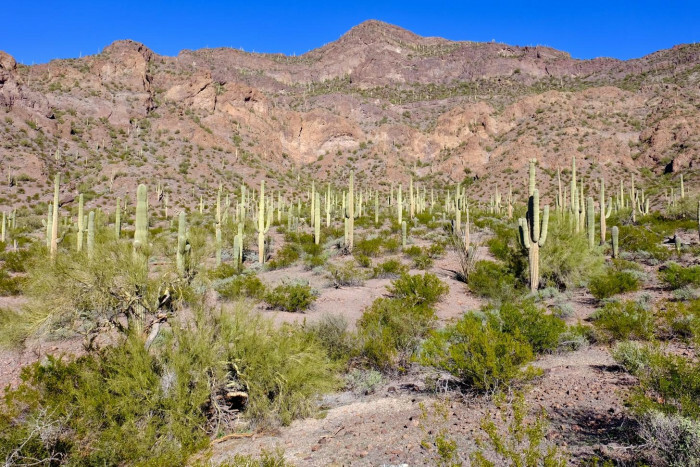 We camped at Picacho Peak State Park in a Motorhome. We stayed here for three nights. This park is nicely laid out and very clean. Electric hookup only, but it was 50 amp and worked great. We knew coming in and had full fresh tanks. We are 68' long with our Freightliner and 45' fifth wheel, and we had no issues manuevering in the campground or getting into our spot. Later we walked the whole campground taking notes, and found quite a few spots we could fit in. The trails in the park are great - they really challenge you, but reward you with great views and a sense of accomplishment! It was quiet, and although we could hear the train rumbling a little it wasn't a bother - obviously not too many intersections nearby that would force them to blow the whistle. We really enjoyed our stay, and would definitely return again. We camped at Picacho Peak State Park in a Fifth Wheel. The park is between Phoenix and Tucson. There's not a lot of shopping nearby, so come prepared to CAMP. The camp office can give you some information on the history of the area, but you have to ask. Enjoy the amazing hiking opportunities, including spots where steel cables are anchored into rock and you're climbing the face like a ladder. So much fun! Pros: This is a clean, picturesque campground nestled in the foothills of Picacho Peak; a short distance from I-10. Good, paved interior roads; spacious, paved sites (some pull-throughs, some back-ins) that are mostly level. 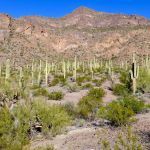 This is a very good campground for hiking and dog walking with mountain views, rock formations, large Saguaro and other desert plants. Cons: There is electric only (no water at sites) yet the camping fee is the same as State Parks with water and electric. The restroom/shower facility was clean, but unheated, with no hot water (at least in the showers I tried). If you don't hike, there is not much to do in the immediate area. We would stay here again if passing through the area. We camped at Picacho Peak State Park in a Fifth Wheel. 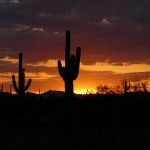 For a southern Arizona state park in the winter and over the holidays, this one doesn't seem to get the push that others do, probably because it's not as close to shopping and amenities as some other parks. The entrance gate is a tight squeeze with a big rig, and the campground roads are narrow, but no real problem getting in and situated. Picacho only offers electric hookups, and the campground water supply was experiencing a high level of nitrates during our visit. Check ahead and plan accordingly since it will take them awhile to remedy that. It does not affect the showers, which were clean with lots of hot water. As with all the other AZ state parks, the bathroom buildings are not heated -- brrr! We were in the A loop, but all the loops have sites that offer nice views over the valley (albeit with Hwy 10 in view far below, but not audible) or the surrounding peaks. 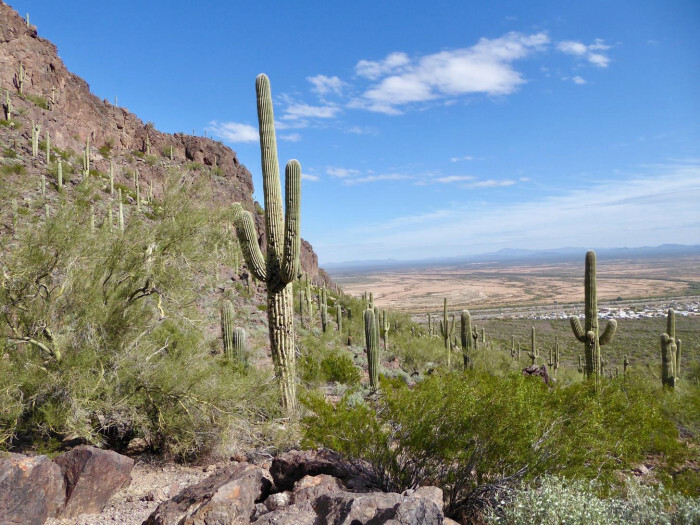 There are several hiking trails in the park, including the very challenging Picacho Peak summit. Many of the trails and paths do not require major hiking skills and can be enjoyed by everyone. There is fabulous OATV and great phone reception. The park offers Airebeam Internet, which is a paid service. If you have a hummingbird feeder, you won't be disappointed when you hang it out! We camped at Picacho Peak State Park in a Motorhome. Beautiful desert setting with a variety of plant life with a back drop of impressive mountain peaks. We camped at Picacho Peak State Park in a Motorhome. Stay in loop A or B. If not stay in lower number C loop. The mid number C are closer to the interstate and noisiest. Unbelievably clean restrooms and showers. Only issue was a swarm of bees on the dump station hose. Very large and very level sites. Great trails and walking areas. Highly recommend. We camped at Picacho Peak State Park in a Travel Trailer. Camped in a motorhome in Site B-12. Pretty level site, nice spacing between sites. We definitely could hear the traffic and trains. Great views of the mountains and campground is surrounded by cactus. There are trails throughout the mountains that we enjoyed during our stay. Saw an incredible sunset and a nice sunrise from the campground. Only Electric. No water or sewage besides dump station. We camped at Picacho Peak State Park in a Motorhome. A pleasant campground with some highway and train noise. The hosts and park employees were friendly and visable and it was kept clean. Fixtures are old and not well maintained in the bathrooms but cleaned daily. Showers and hot water were ample and dishwashing sinks were provided. No water at site but easy to use filling station at the dump. Our site was level (no need for levelers) and faced out, so it felt very private. Campfires were allowed and wood sold at entrance. Fairly quiet campers, except for a few cheers on New Year's Eve. We camped at Picacho Peak State Park in a Travel Trailer. We knew there wasn't much nearby, aside from a Subway Sandwich shop and gas station so we loaded up the rig for our weeklong stay. We are on a quest to camp at all of the Arizona State Parks and we wanted a quick getaway from Phx, so chose Picacho Peak. Seeing the campground from our I-10 approach had us a bit concerned but honestly, we couldn't really hear any traffic noise and actually enjoyed watching the car lights at night. The staff was so friendly at check-in, our spot (#B19) was easy to park in and we didn't even unhitch our tow vehicle since we were completely level and wouldn't be needing to drive anywhere. Our campsite was nice and roomy, picnic table & firepit. Being avid bird watchers, we weren't even expecting to see much but had a great birding weekend right from our campsite...saw loggerhead shrikes, rock wrens, say's phoebes...just to mention a few. It was cool. Not sure when we'll go back because we do have about 13 more state parks to visit but we would definitely consider a revisit. 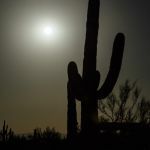 We camped at Picacho Peak State Park in a Travel Trailer. To be honest, it was late when we arrived, and only stayed one night, but the park is very nice, clean, and well kept. The spaces are very tight for a big rig. We have a 40 foot motorhome, and selected a pull through site, that was so tight that it was almost impossible to get into and let the slides out. You had to be positioned just right to clear the cement poles they put up to protect the utilities. We will go back at some time in the future, but I will not get a pull through site. it appeared that the back in sites were more open for a big rig. 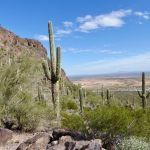 We camped at Picacho Peak State Park in a Motorhome. For big rigs, be selective about the sites, and the pull through sites should be limited to 36 foot and under. Stayed 2 nights. No water or sewer at the sights. You really feel like you are camping out! Beautiful sunsets. You have a picnic table and BBQ grill. Plenty on space between you and your neighbor. We camped at Picacho Peak State Park in a Fifth Wheel. Two or three hikes on site! Campsite was clean and mostly level, but picnic table/firepit was too far away to really use. No water or sewer at site, but dump station at entrance, with potable water. Good spacing between sites, and very pretty desert location. Well-maintained hiking trails and friendly/helpful staff. Traffic/train noise from the interstate is audible, but after a while you get used to it. We camped at Picacho Peak State Park in a Travel Trailer. Hunter trail is a awesome hike, strenuous and exposed, and should only be taken if fit, in cooler weather and with plenty of water. There are several other trails, well marked. Our third time to camp at Picacho which is a very well run and scenic park. The rest rooms were kept very clean and the showers are spacious. My only complaint about the showers is that they have those water restricting spray heads that mean that the water is hot at the top of your head, warm at your shoulders and cold by the time it hits your waist. I understand the reason for this, but it makes for chilly showers. I also wish that there were a couple of paths to the restrooms cutting through the campground loops so that if you're camped in a spot far from the restrooms you didn't have to walk all the way around the loop to get to them. These are minor issues though and we would definitely stay here again. We camped at Picacho Peak State Park in a Travel Trailer. We have stayed several times and always had positive experiences. The sites are spread out in the desert vegetation with lots of space between. There are some pull-throughs with views of the mountains and some back-ins. They tend to be level. There is some highway noise but not enough to be a problem. 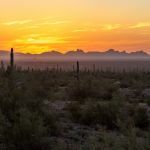 We camped at Picacho Peak State Park in a Travel Trailer. Fabulous New Mexico sunsets. Good hiking trails. We've been here 3 different times and enjoyed it each time. It's in a desert setting convenient to I-10. The highway and train noise were distant enough so it was not a problem. There are many hiking opportunities. The restroom/shower buildings are very nice. Sites are electric but do not have water hookups. Potable water is available at the dump station. We like A13 for the view and shade on the patio side. A18, A20, and A21 were either too close to other sites or the table was on the wrong side. This trip in February the campground was full. We were glad we made reservations. In a December and January trip the campground was not full. We camped at Picacho Peak State Park in a Motorhome. If you have kids (or grandkids) take them to Rooster Cogburn's Ostrich Ranch, 1/4-mile down the Frontage Road - lots of animals to feed - in safe, cute displays. They'll love it! Hiking, desert scenery. Reasonably close to Tucson (40 miles) if you need a big city. About 10 miles to groceries etc. This is some distance from the nearest cities, which is really part of its charm. There are several nature trails at the park, and a hike to the top of the peak for expert climbers. 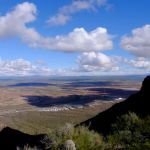 Picacho Peak State Park is not far from the city of Casa Grande, and Casa Grande Ruins National Monument. 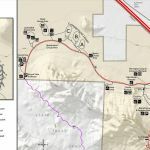 Are you affiliated with Picacho Peak State Park ?